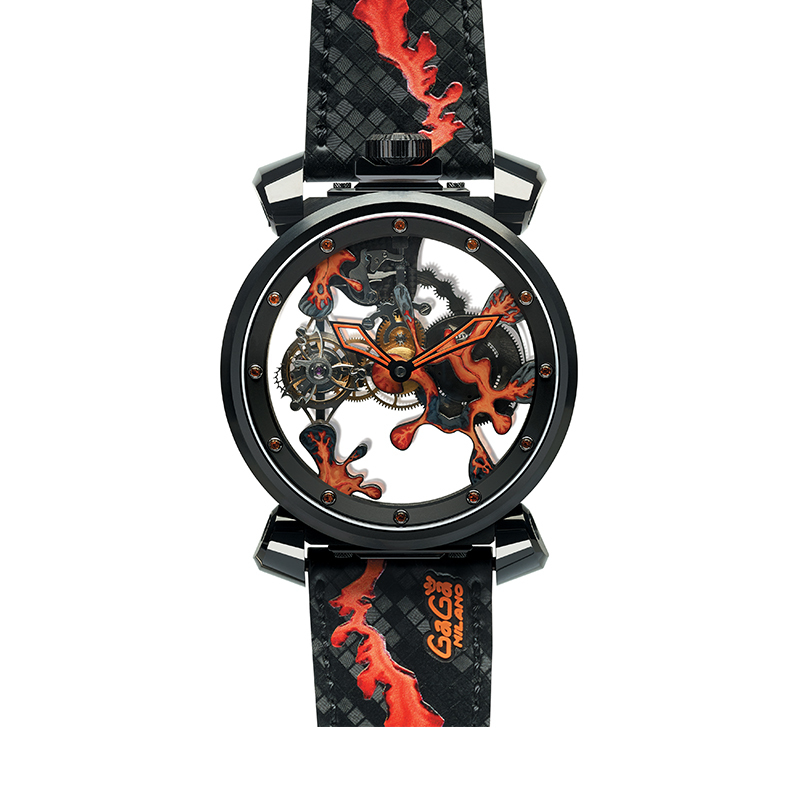 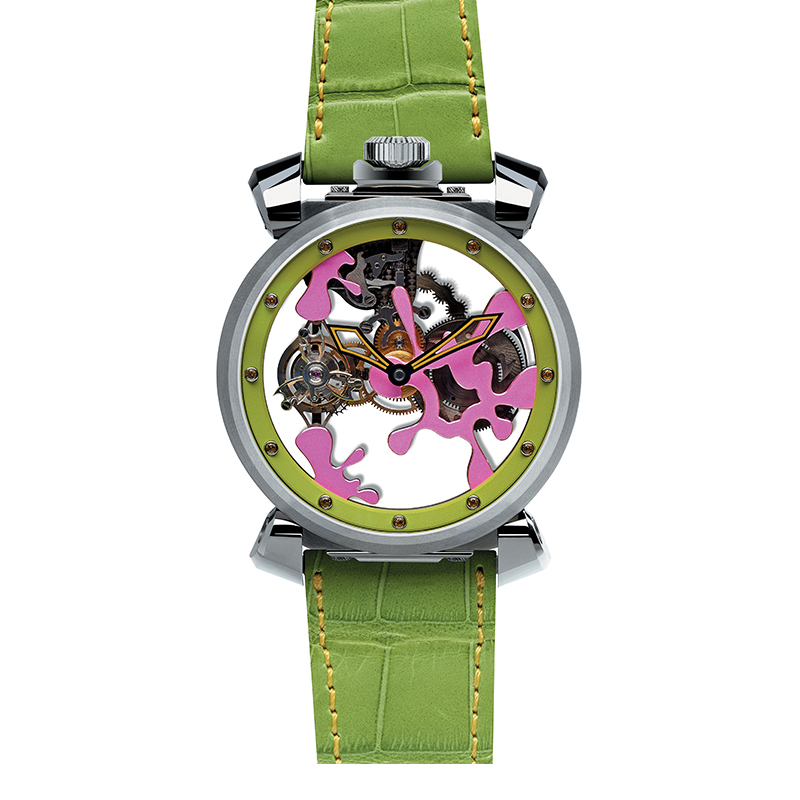 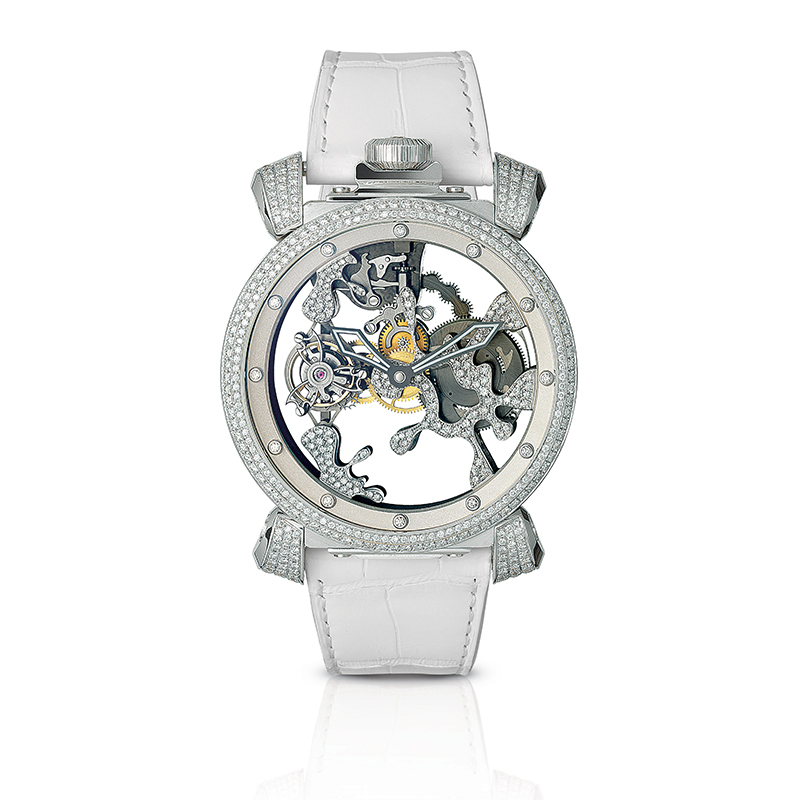 GaGà Milano challenges the concept of watchmaking complexity by presenting Quirky Tourbillon. 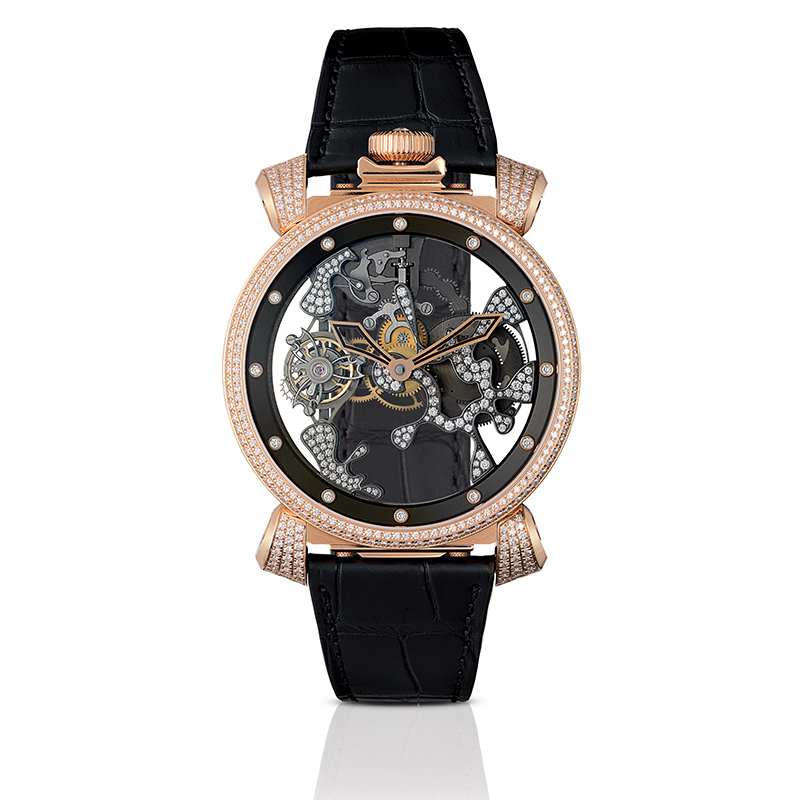 Created from the collaboration with Hysek, Quirky Tourbillon boasts a tourbillon, manually-wound movement, produced in limited edition (20 units). 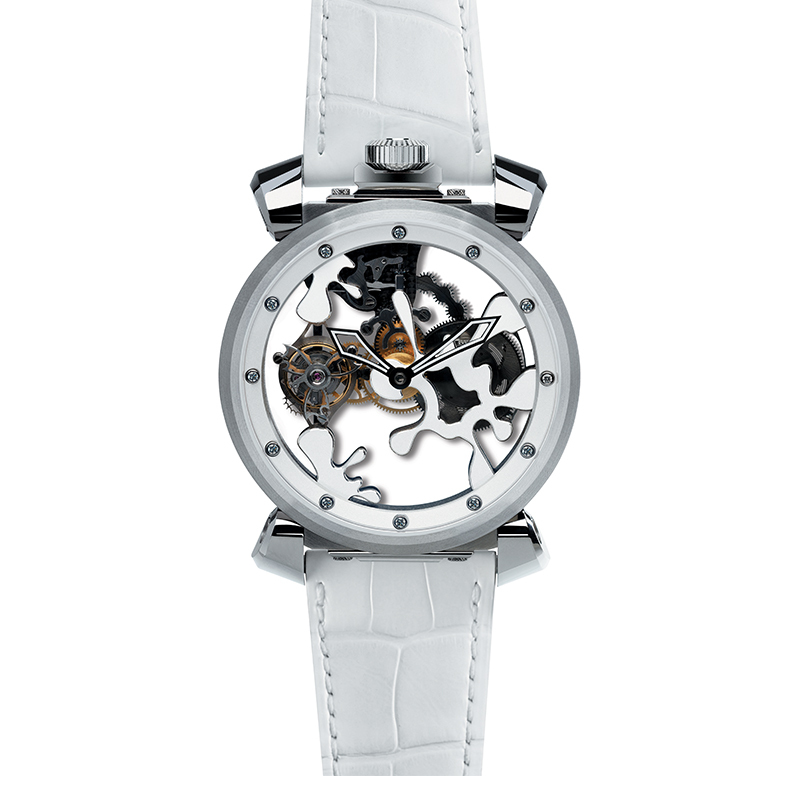 The big titanium case (47mm) guards the chronometric second hand at 12, trademark of GaGà Milano, which rotates clock wise endlessly, thus preserving the movement’s deterioration. With the new Tourbillon, GaGà Milano makes its name known as a solid reality, able to join the creativity typical of the fashion world to the extraordinary technical ability of the watchmaking world.